Though Aswan was situated at the farthest limit of Egypt, it was spiritually closer to the capital of Memphis than any other city. This was because, during the Old Kingdom, the noblemen of Elephantine were the ‘Keepers of the Southern Gate’; Aswan was the starting point for the caravan routes along which the earliest commercial and later military expeditions were carried out. The noblemen held extremely responsible positions. They were entrusted with supervising the quarrying of granite for the great monuments of the Giza plateau. They watched over the exchange of Egyptian grain and oil for minerals, ebony, gum, stone beads, incense, and animal skins from the south. They supervised the shipments to the royal capital. The noblemen of Elephantine were a proud and independent breed who lived at a time when the pharaoh encouraged initiative and responsible action; a time when many Lower Egyptians travelled to Upper Egypt to find work, just as, today, Upper Egyptians travel to the Delta. 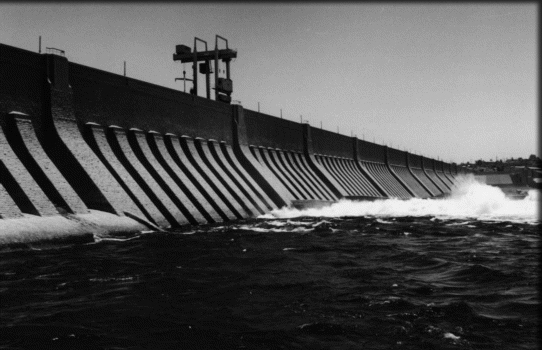 Aswan attained its greatest political prestige in the 6th Dynasty (2345-2181 BC). The tombs of the noblemen at Kubbet el Hawa (page 41) have autobiographical texts that show them to have been administrators, warriors and explorers as well as politicians. One nobleman called Hekaib (‘Brave of Heart’) appears to have had all these qualities and more. In fact, he was so widely respected that, after his death, he was revered by noblemen and high priests for no less than eight generations. Over two centuries after his death, a prince of Elephantine in the reign of the pharaoh Senusert I, finally constructed a sanctuary in Hekaib’s name on Elephantine. This sanctuary was discovered in 1946 by Labib Habachi, who noted that never before had such honour been paid to an ordinary man. Habachi was able to identify the deified Hekaib with Pepi- Nakht, from whose tomb (page 43) we learn that he was respected for a distinguished career and an aggressive spirit as well as for bravery. For example, at that time ships were built on the eastern end of the caravan route from Coptos, and a naval officer on duty there was slaughtered by nomads. The pharaoh chose one of his most competent officials to rescue the body and punish the offenders. It was Hekaib, and he so fearlessly chastised the troublemakers that he was later described as ‘one who controlled his heart when others stayed at home’. It is not surprising that the noblemen of Elephantine were among the first to try and shake off the restraint of the central government and establish independence towards the end of the Old Kingdom. Unfortunately, it was a short-lived achievement, soon to be followed by chaos and civil war. Aswan’s time of glory was over. It was never again to have such prestige. An effort was made in the Middle Kingdom to resuscitate the spirit by reviving Old Kingdom titles such as ‘Governor of the South’. But, in fact, Aswan had lost its role as Gateway to the South when Egyptian influence spread into Nubia (2133 BC). The high priests of Elephantine watched over the Temple of Khnum and continued to promote the cult of Hekaib, but Aswan was, in fact, no more than a military base and an emporium for Nubian and African exotica. 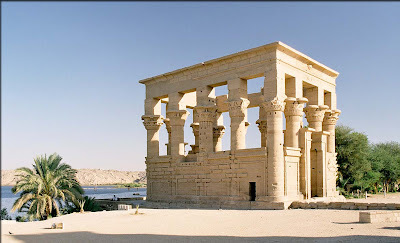 Some pharaohs of later periods constructed temples on Elephantine, as can be seen from numerous reused blocks, but it was not until the Graeco-Roman period that Aswan regained its importance, and then for very different reasons. During the reign of Ptolemy II (285-246 BC) the popular cults of Osiris, Isis and Horus were transferred from Abydos to the area around Aswan, and particularly the cataract region immediately to the south of Elephantine. The regional gods of the cataracts, Khnum the ram-headed god with his wife Satis and daughter Anukis, were supplanted by the triad from Abydos. The chief centre for the worship of Isis became the Island of Philae which gained a mystical aura. The temple of Isis soon came to be regarded as the holiest in the land, especially famed for the mysterious healing properties of the goddess.